The Bennett On Bayview is a new 14 storey mixed-use condominium development with retail at the ground level and of the total 165 proposed residential suites, 54 will be one-bedroom units, 60 will be one-bedroom plus den units, 33 will be two-bedroom units, 16 will be two-bedroom plus den units, and 2 will be three-bedroom units. 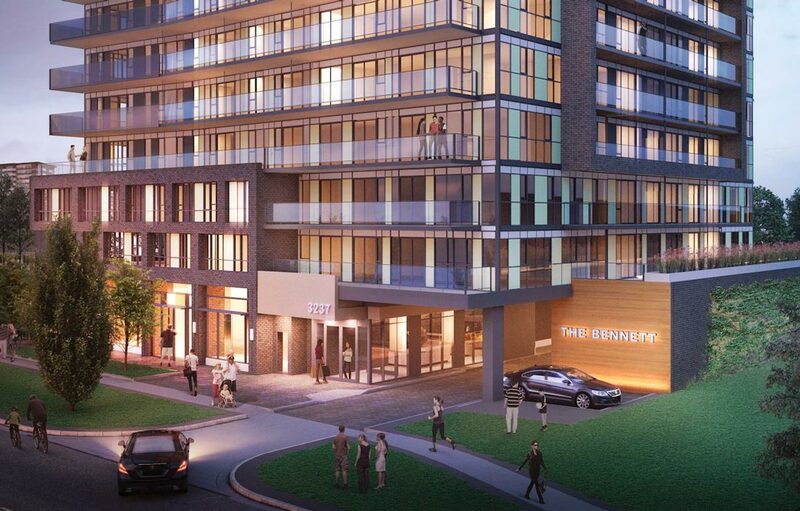 The Bennett Condos In North York Toronto is a new pre-construction Condo project located at 3237 Bayview Avenue just north of Finch Avenue. This new proposed residential development is located close to the upscale Bayview Village Shopping Centre, as well it is well situated close to parks and schools such as the Tyndale University College & Seminary, the Brebeuf College School, Blessed Trinity Catholic School and the Cummer Valley Middle School.